In conjuction with other marketing material developed for MetroAction, Blackout Design recently laid out the 2009 MetroAction Annual Report. With provided content and images from MetroAction, Blackout helped create a sixteen-page report that consisted of information on MetroAction’s recent history in assisting small businesses in the Northeast Pennsylvania region. Detailing loans given, businesses assisted, and men and women of the region educated in better business practices, MetroAction’s Annual Report is a container for current and future business leaders to consider as a source of abundant information for becoming a larger and better business. 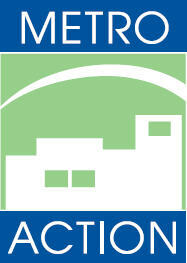 For more information about MetroAction and their annual report, click here. The great thing about having a guarantor to back you up in your application for a loan is that it can help you secure the best loan rates available even if it’s extremely difficult for you to access credit using your name alone. Open full story here, surely you will have a a fantastic read.